Donate clothing, household items donations, and furniture donations to Park Avenue Thrift of Enid, OK, by scheduling a free Enid donation pick-up online. Donation Town has all the information you need to know about scheduling donation pickups online for Enid, Oklahoma. Just visit the donation pick up scheduling webpage and enter in your zip code to get started! Park Avenue Thrift, Enid’s Own Community Thrift Store is a non-profit Oklahoma corporation that has been growing in Enid, Oklahoma since 2007. Park Avenue Thrift is an outreach of St. Matthew’s Episcopal Church in Enid. The profits from Park Avenue Thrift’s store support community endeavors such as the Emerging Artists Gallery and the Chapel of St. Anne, which is located within the 20,000 square foot Park Avenue Thrift store warehouse. So far, Park Avenue Thrift has given away nearly $200,000 to Enid, OK community organizations and hopes to increase that amount significantly with the help of your Enid clothing donations and furniture donations. Sales at Park Avenue Thrift are growing each week as residents learn more about the store. Have fun shopping while supporting local Enid organizations. Schedule a Park Avenue Thrift of Enid clothes donation pickup today. Park Avenue Thrift accepts a variety of donations. Gently worn clothing donations help make your shopping experience at Park Avenue Thrift a fun experience. Your Park Avenue Thrift furniture donations help stock the store and as a result, help support local Enid organizations that help the community of Enid, Oklahoma. Your Park Avenue Thrift clothing donations and furniture donations create a win-win situation for you and the greater Garfield County community. 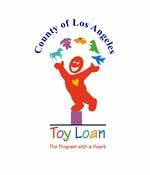 Donate toys, donate books and donate clothes online today. The Park Avenue Thrift of Enid donation pickup area includes all of Garfield County, which includes all of Enid, Bison, Carrier, Douglas, Fairmont, Hillsdale, Lahoma and Waukomis, and every other city in between. No matter where in Garfield County, Oklahoma you happen to be, your Park Avenue Thrift donations can be picked up from your doorstep when you schedule a free Park Avenue Thrift donation pick-up online. Help support the Park Avenue Thrift store by donating clothing, furniture and other household items today. Your P.A.T. donations should be tax-deductible (consult your CPA though!) and you will even receive a tax-deductible receipt for your charitable clothing donations or furniture donations to the Enid community. Help support local organizations that make the Garfield County community a better place, by scheduling your free Enid clothing donation pickup online today.